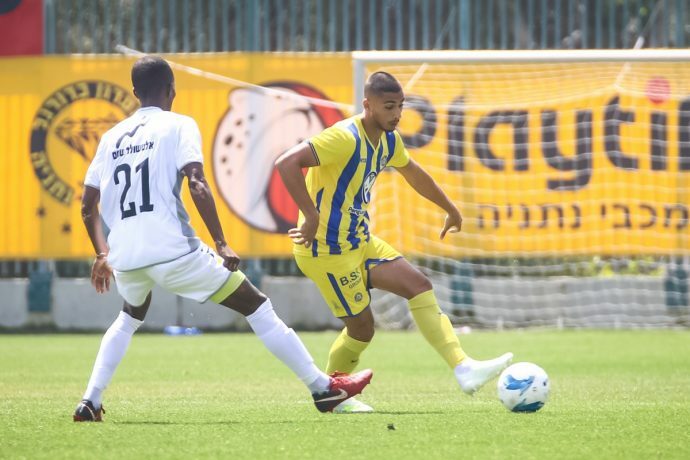 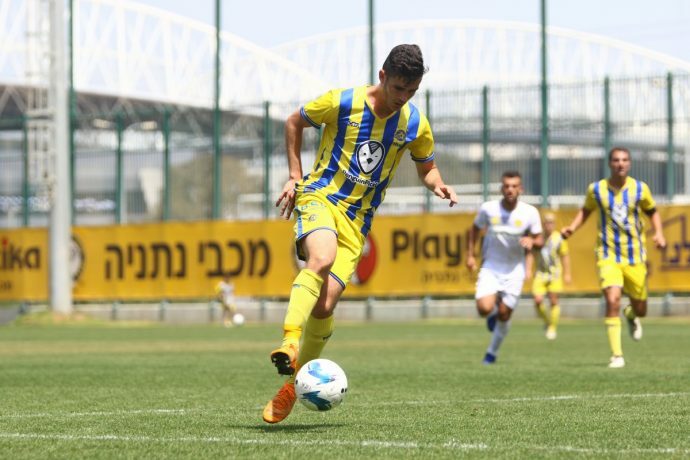 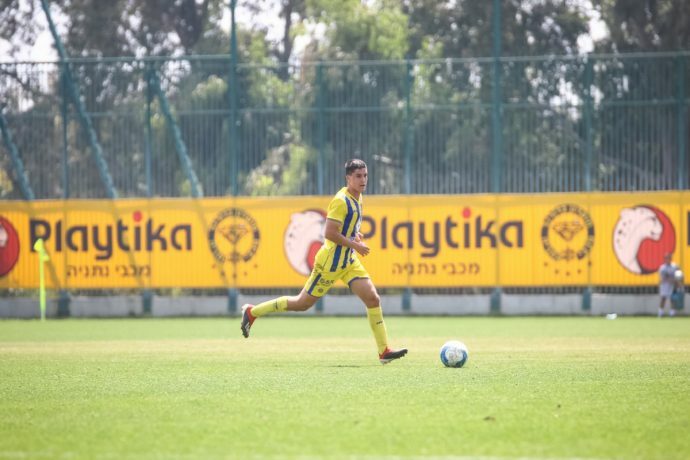 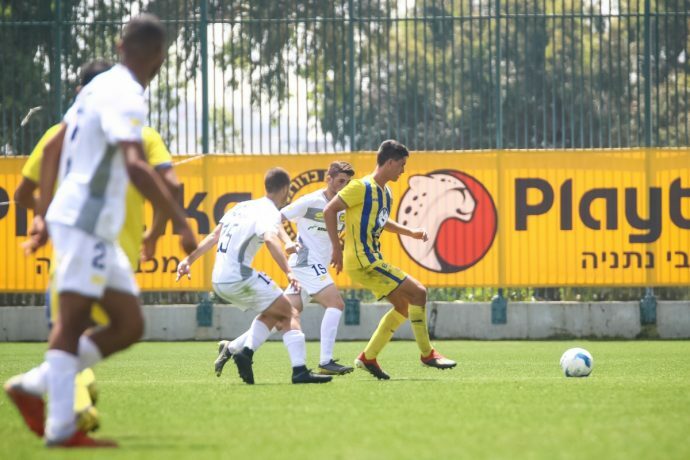 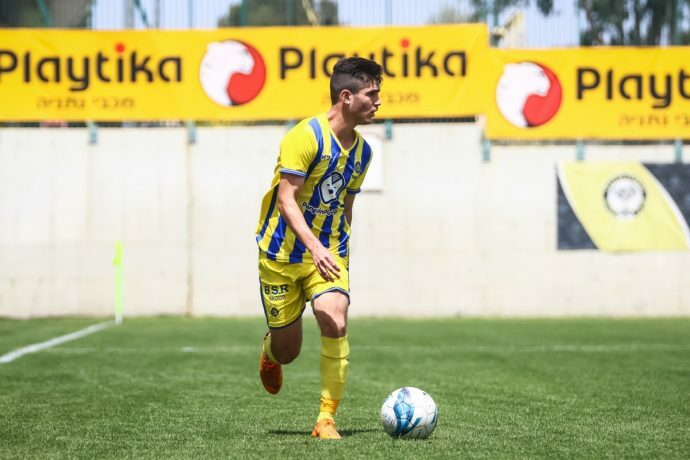 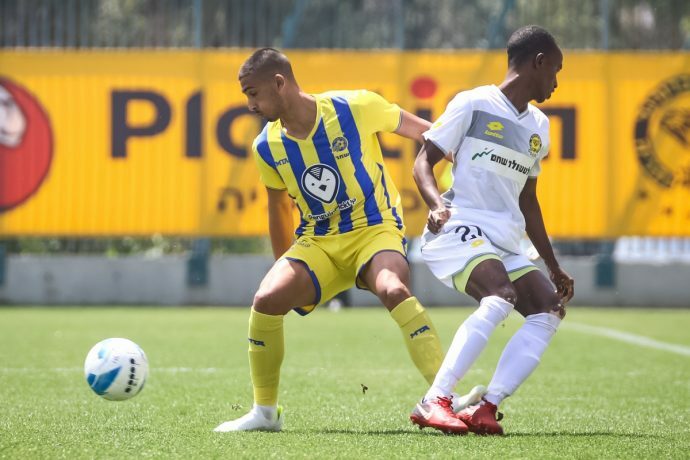 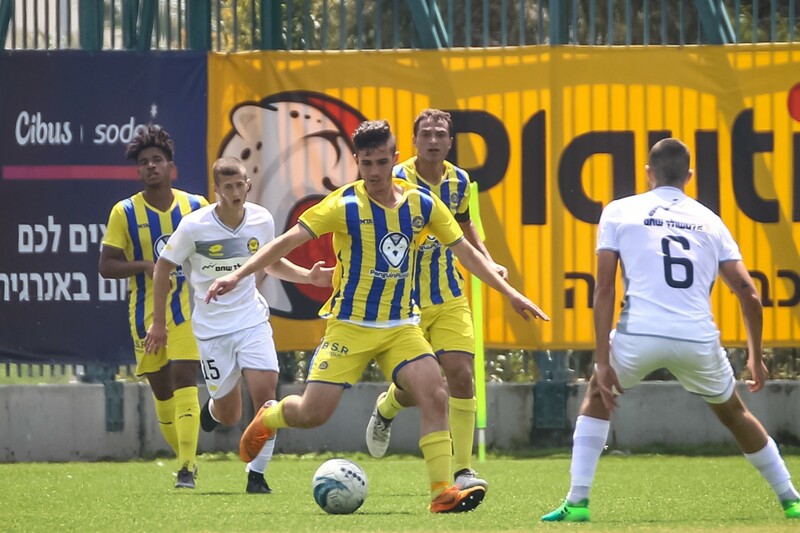 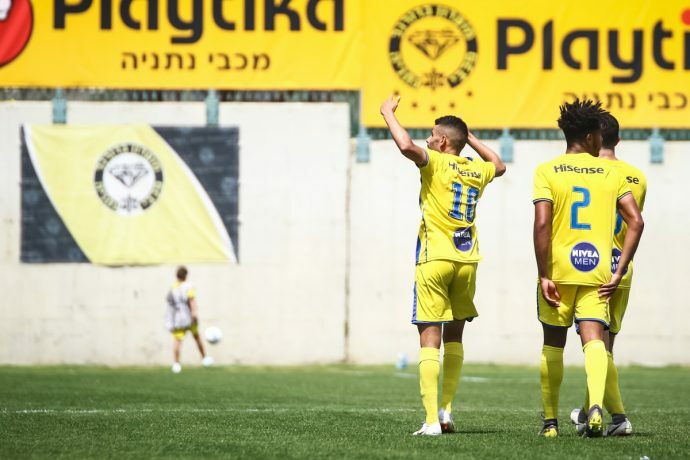 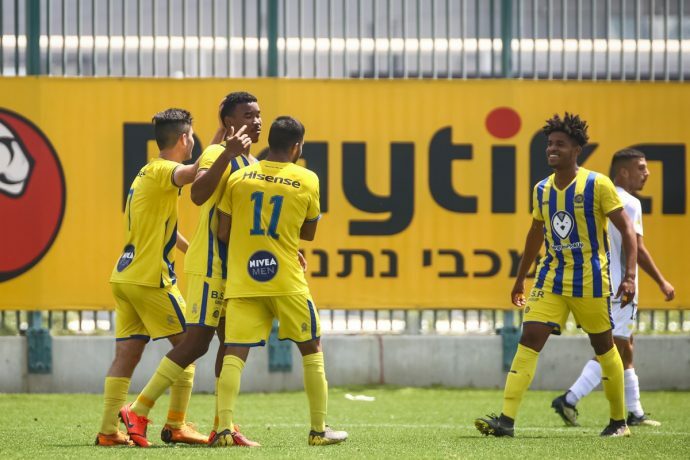 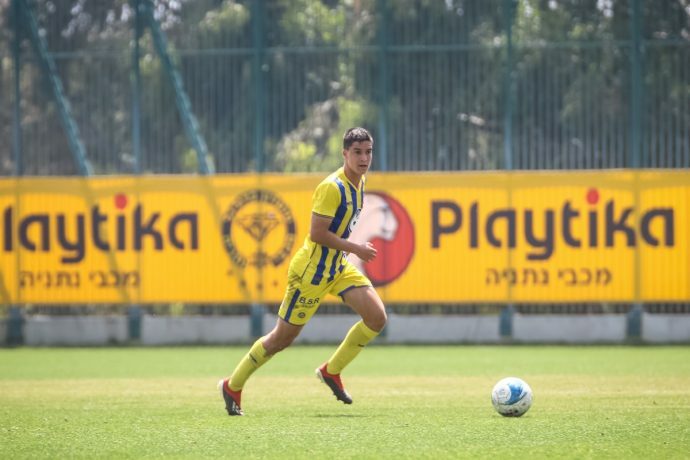 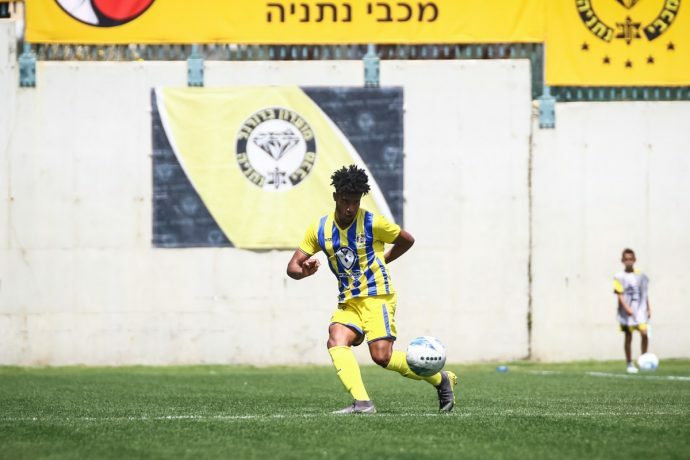 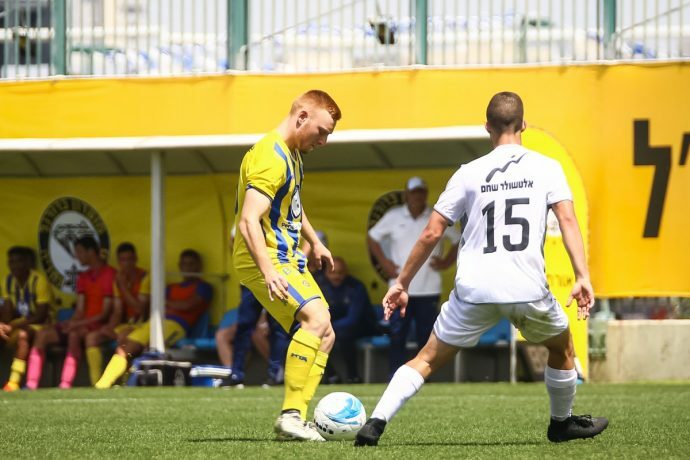 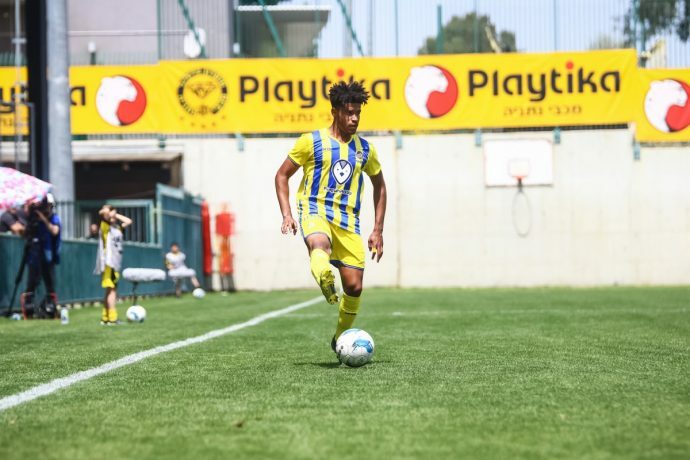 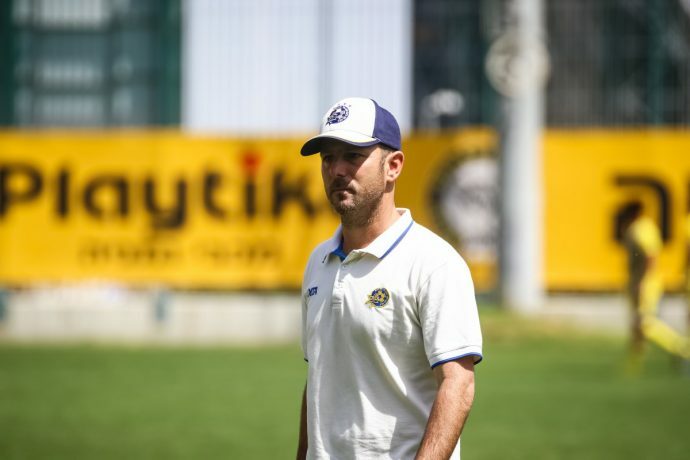 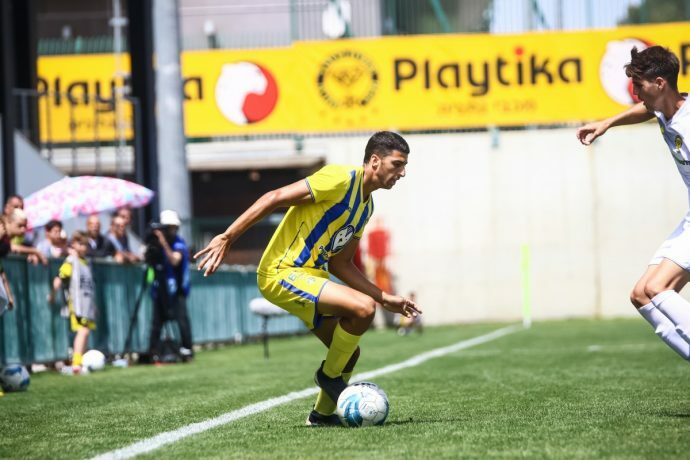 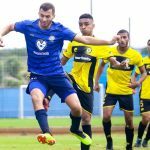 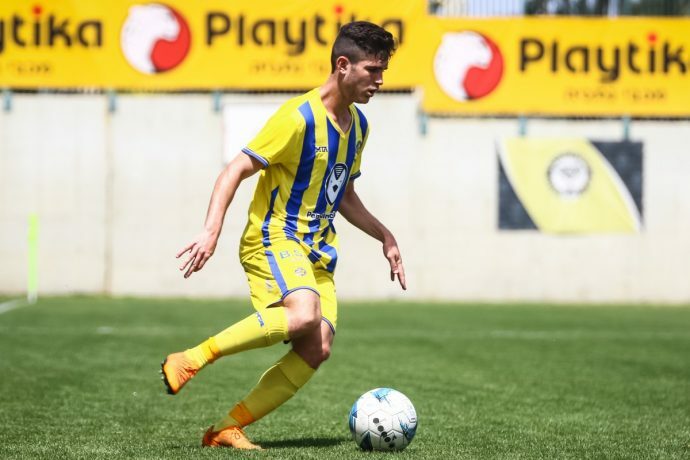 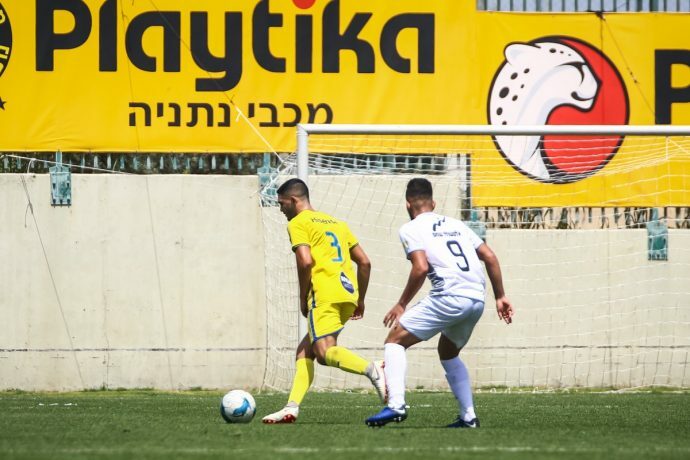 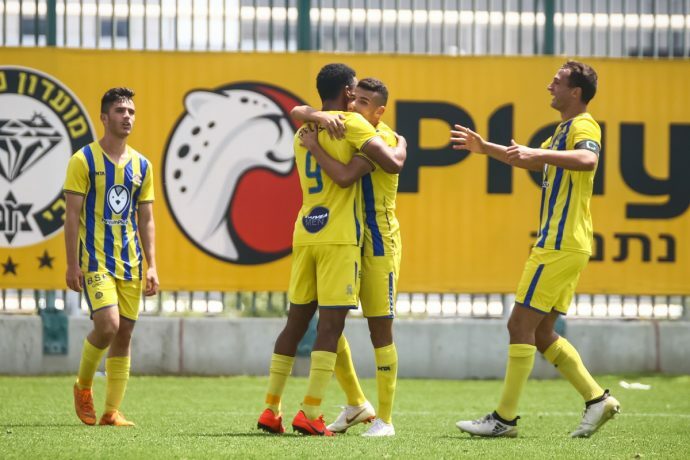 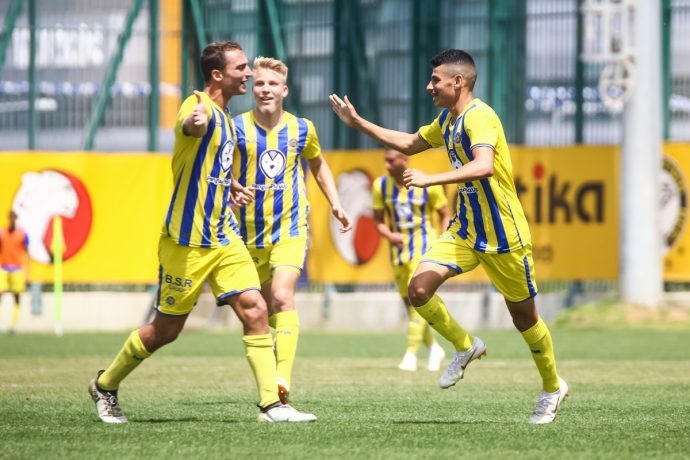 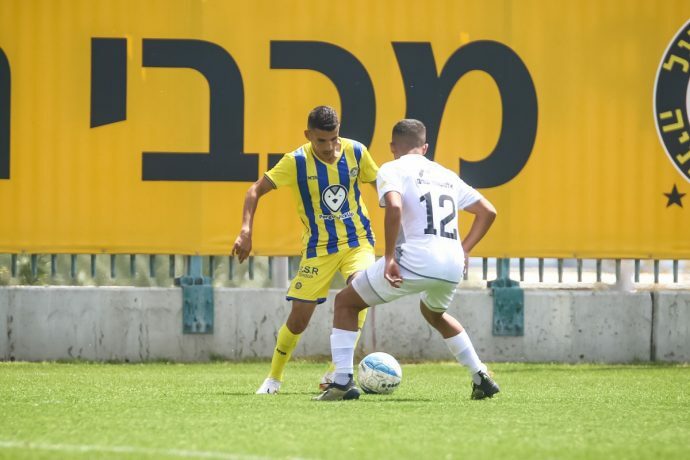 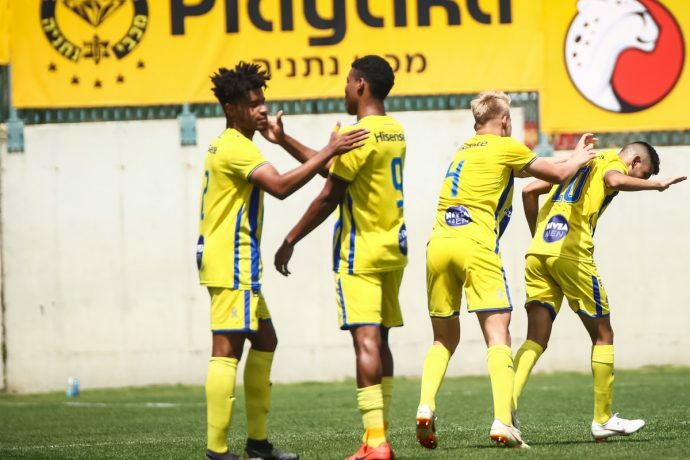 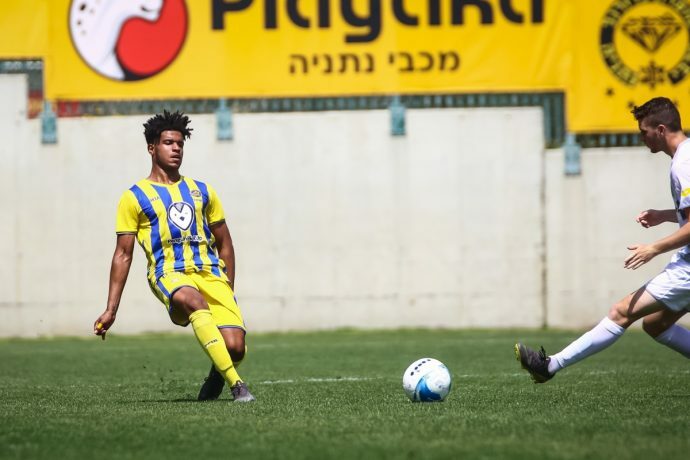 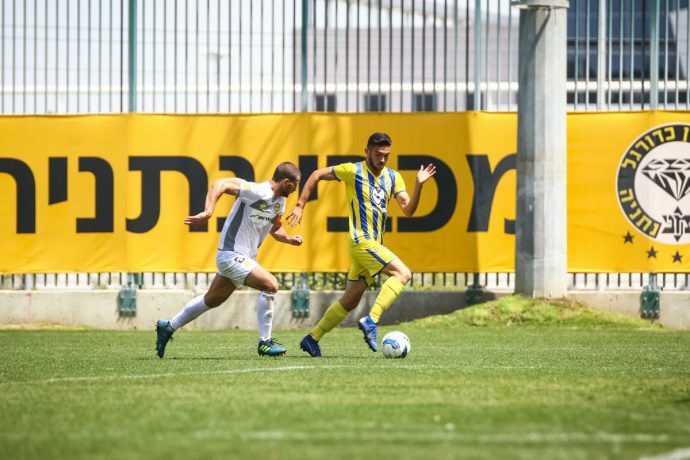 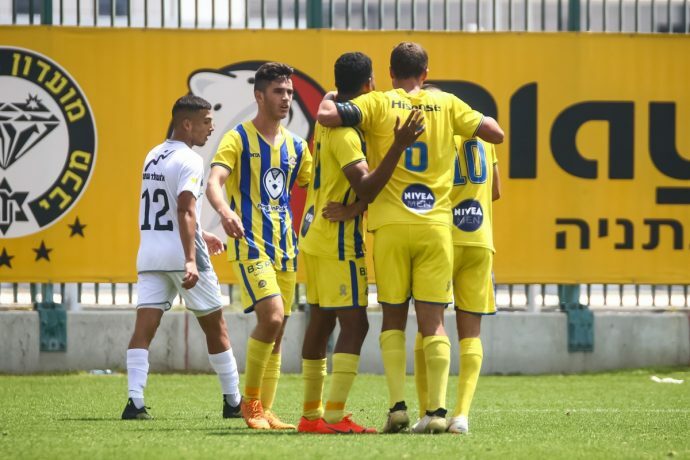 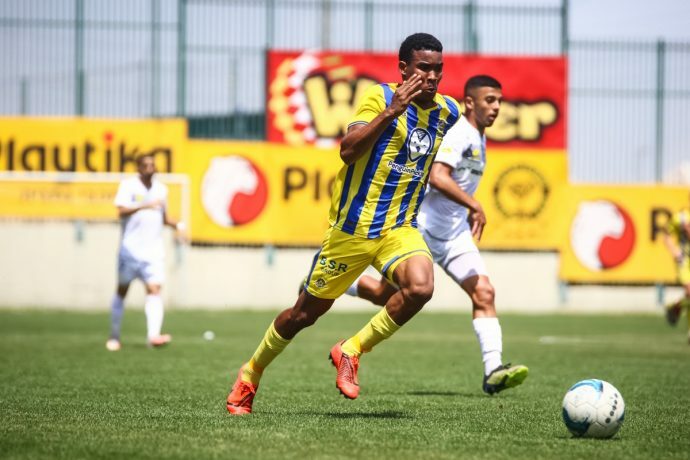 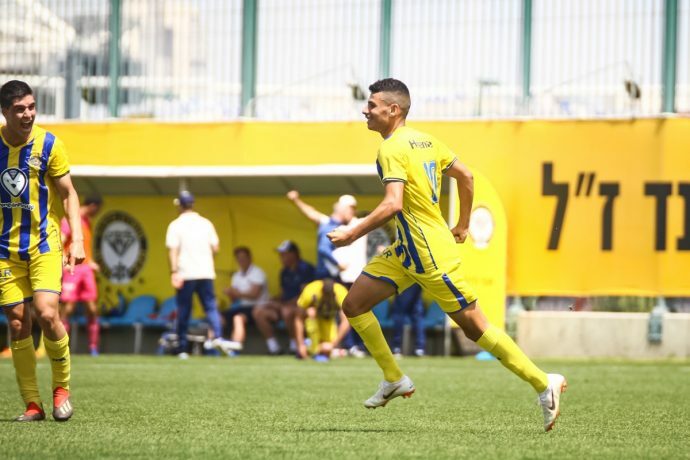 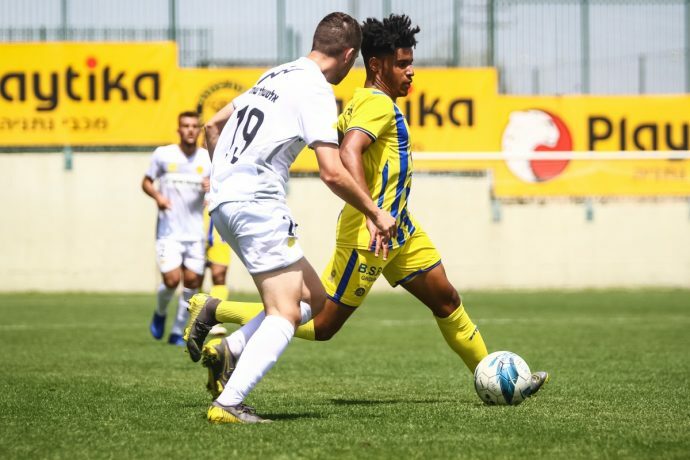 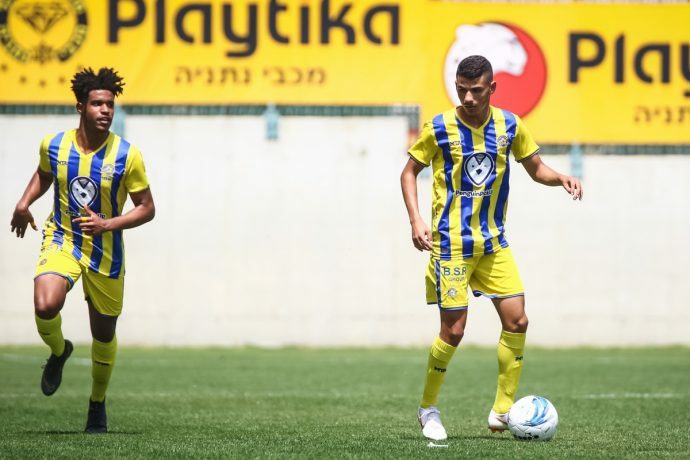 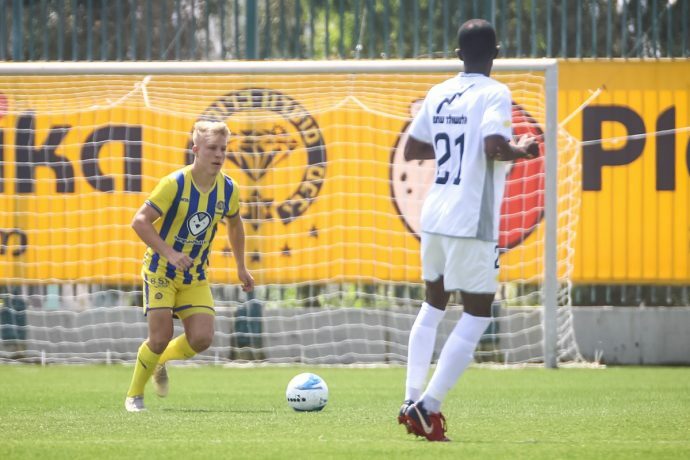 The Under-19 squad, Maccabi “Shachar” Tel Aviv visited Maccabi Netanya on Matchday 26 of the Israel Youth Premier League and began the day in 2nd place just 3 points off table leader Maccabi Petah Tikva while the hosts were in 11th place. 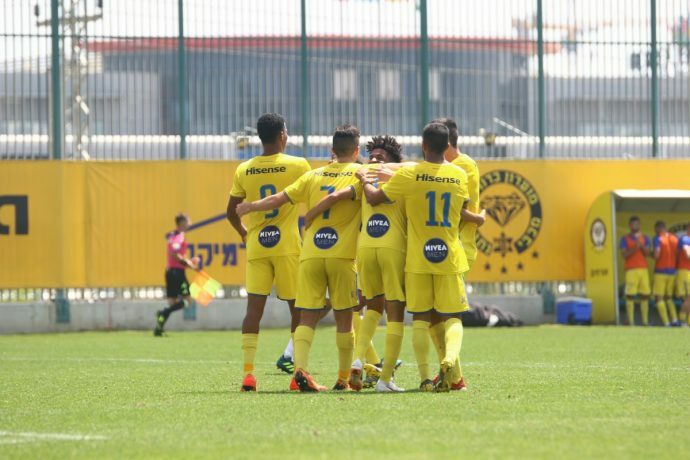 Head Coach Guy Tzarfati’s Starting XI: Daniel Peretz, Michael Chilaka, Alon Shtrozberg, Yoav Hofmayster, Tomer Mahluf, Tamir Glezer, Omri Ram, Nadav Nidam, Eduardo Guerrero, Bar Cohen, Tal Yagudaev. 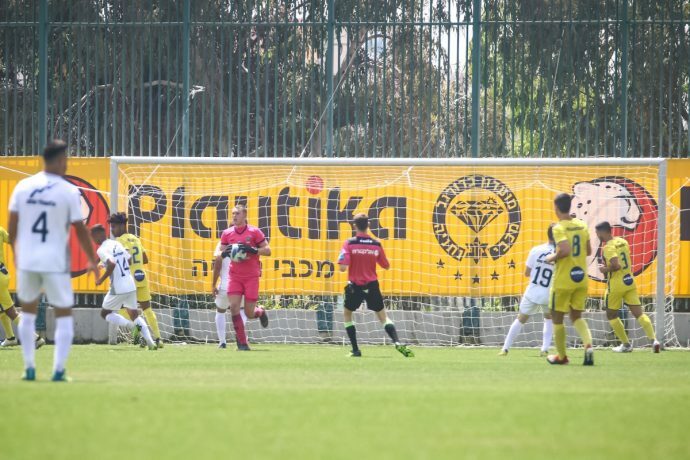 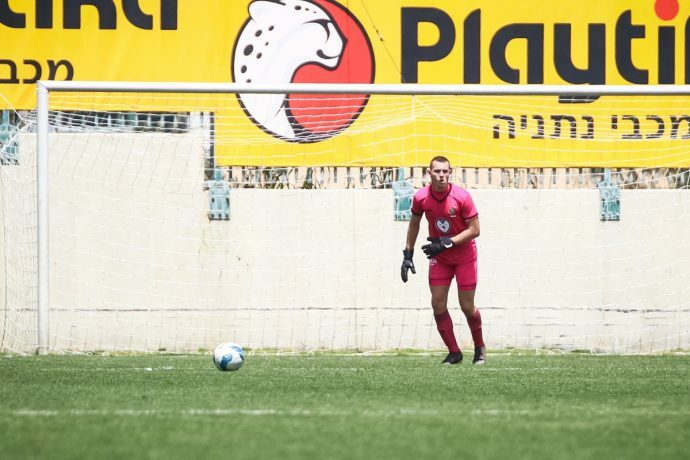 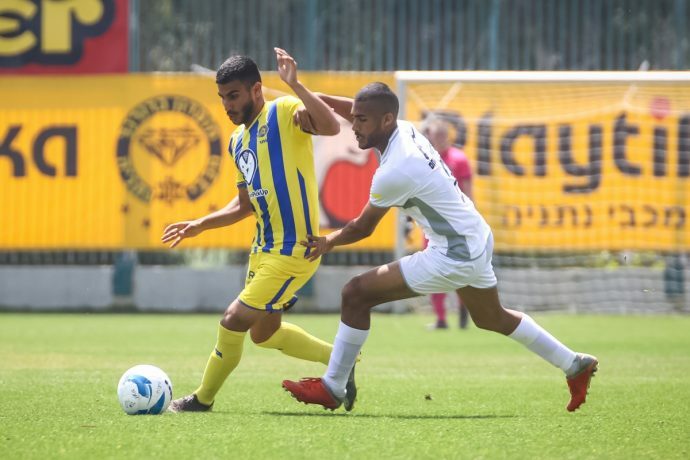 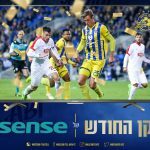 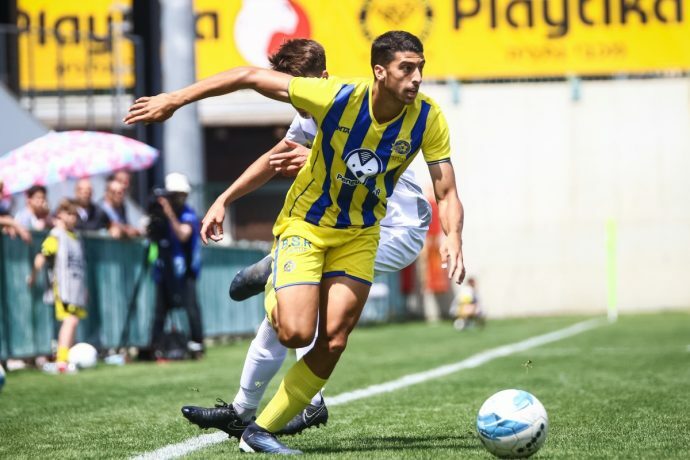 In the 10’ Netanya had the contest’s first chance when Ram Johaja’s Chance from the right of the box went out while ten minutes later Ram found Cohen on the left of the box but his left footed attempt was saved by Netanya keeper Amit Merigin. 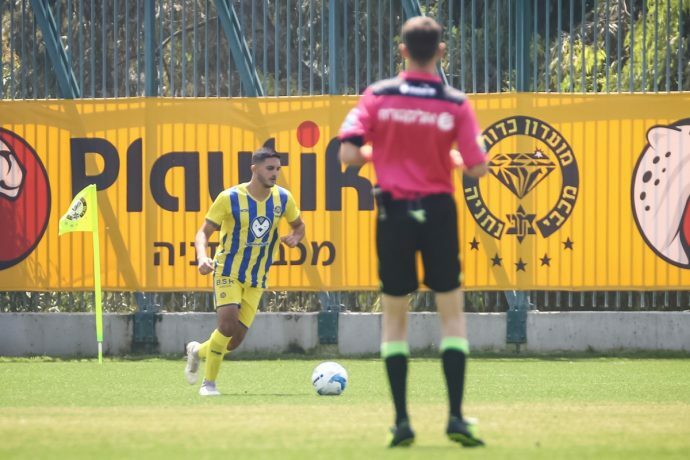 Guerrero tried to find Ram in the area in the 28’ but the ball was blocked at the last minute while Cohen’s rebound attempt hit the outside netting of the goal. 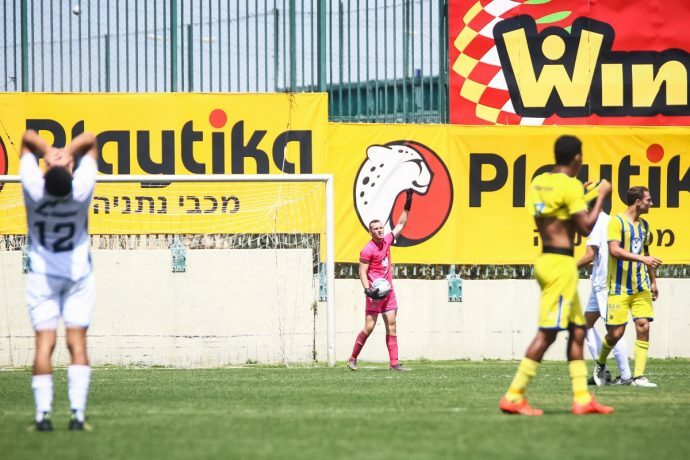 Four minutes later Guerrero’s opportunity was blocked by a Netanya defender as the score remained as is. 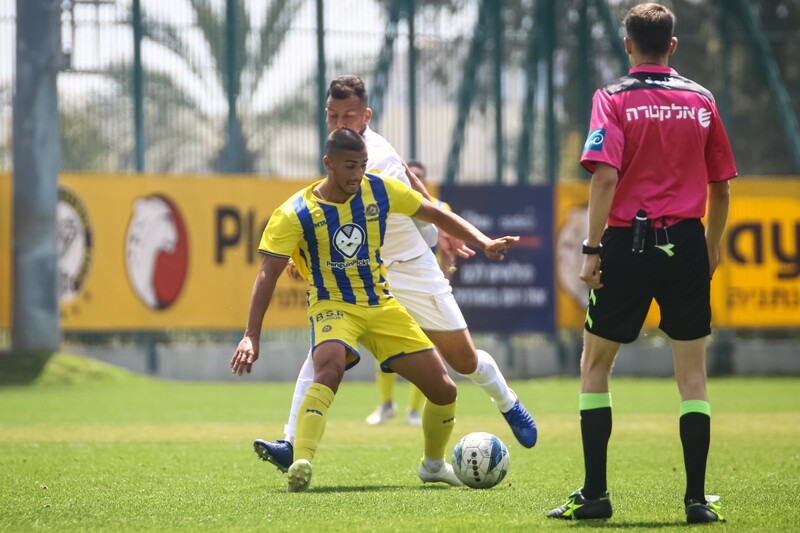 However, in the 35’ Maccabi took a 1:0 lead when Cohen flicked the ball elegantly over a pair of defenders right to Guerrero who found the back of the goal. 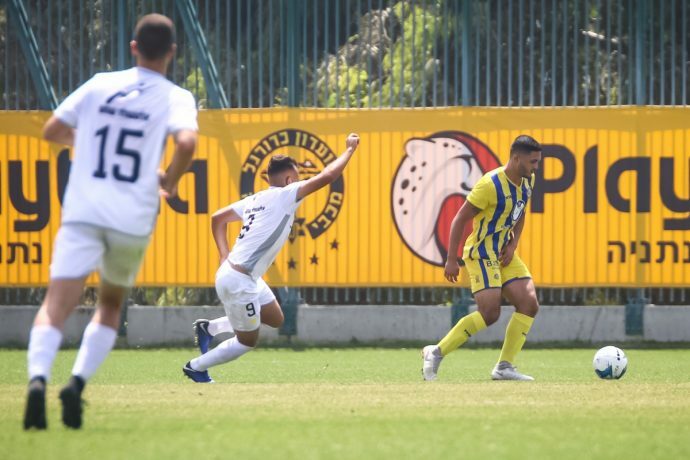 Three minutes later, Tzarfati’s crew doubled their advantage when Cohen once again sent Guerrero a through ball that he unleashed behind the keeper for a 2:0 lead. 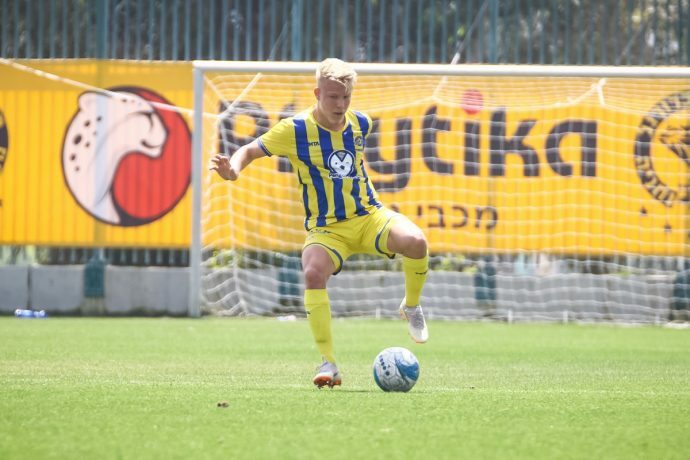 Just before the break Yagudaev sent a magnificent cross to Cohen but he missed the target as the Yellow & Blue took a 2:0 advantage into halftime. 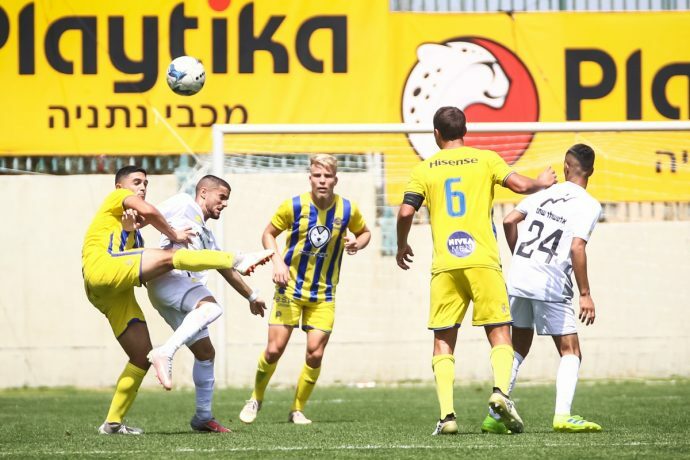 Netanya had the first chance of the half when Johaja’s shot was blocked by Shtrozberg and in the 65’ they once again threatened to cut the lead when Amit Yakov sent a through ball towards the Maccabi goal but Peretz was able to cut off the play. 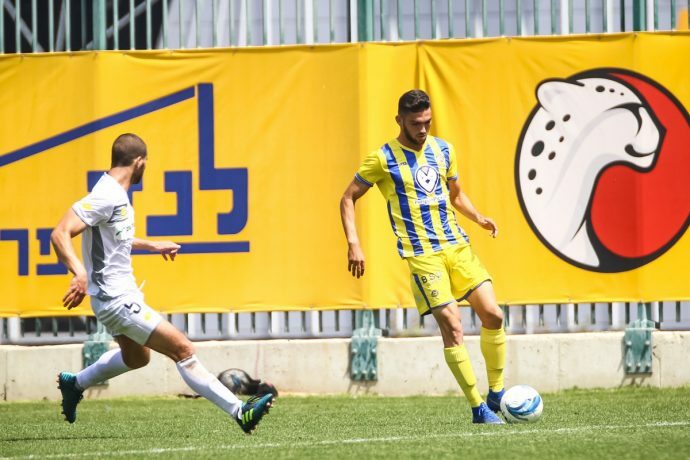 Ten minutes later, Tzarfati’s squad added a third goal when Cohen took care of a Guerrero assist for a 3:0 lead. 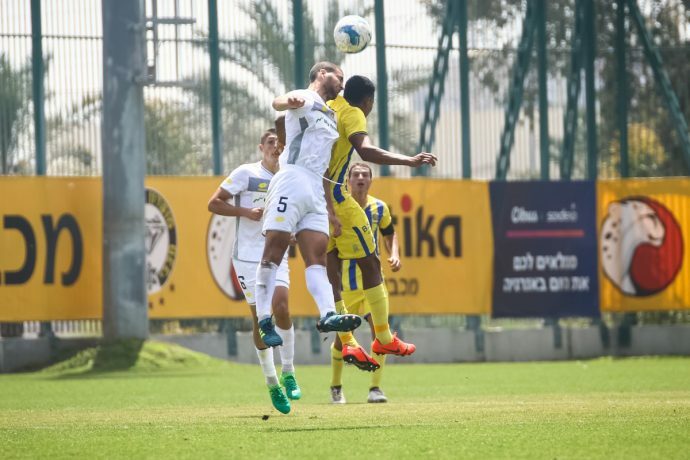 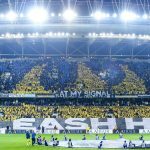 In the 78’ Netanya tried to cut the lead when Eyad Hagi’s attempt went out. 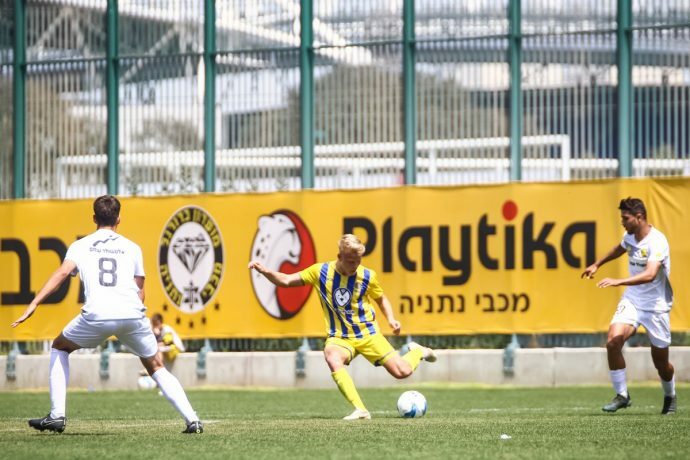 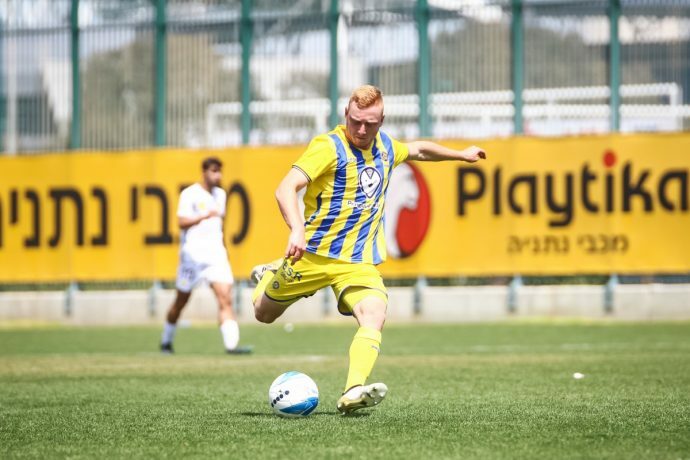 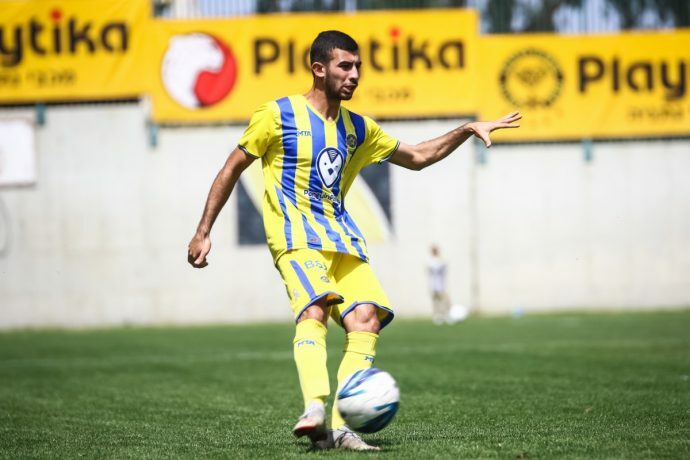 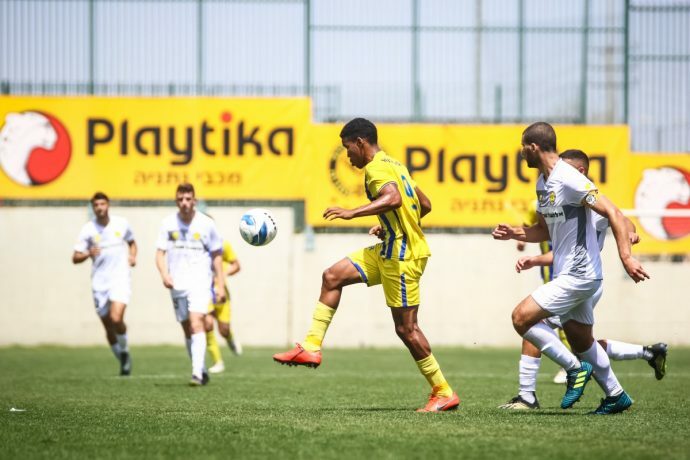 Rave Assayag’s 84’ chance came up short as Maccabi wrapped up a 3:0 victory.